And so we come to the final night of another installment of Project Horror. As always, the last movie doesn't have to fit into any of my blocks, it's Danny's Choice. Last year, I watched The Halloween Tree with Blake. This year, I wanted to watch something with the kids again, but I also wanted to watch something really disturbing. 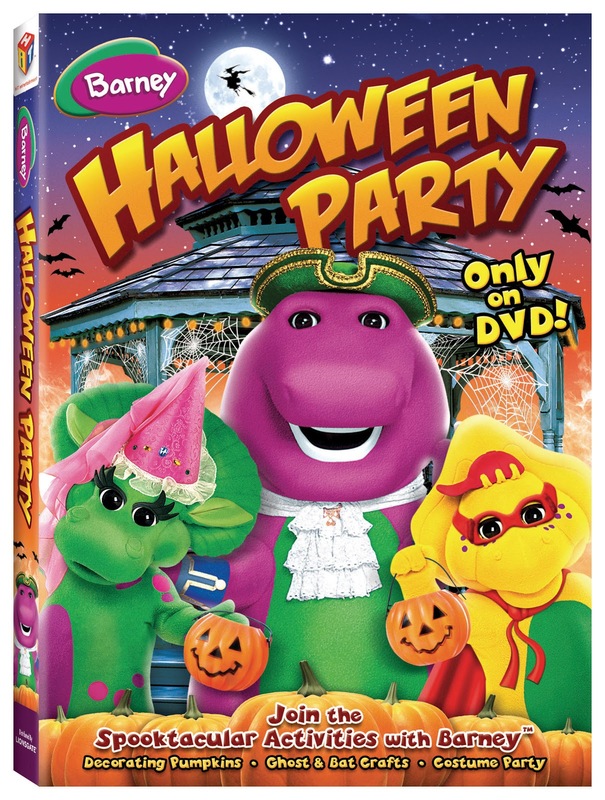 That's when the answer jumped out at me from Netflix's homepage: Barney's Halloween Party. You guys, I've watched some horrible, messed-up, depraved stuff this month. None of it was as difficult to watch as this. With something like Bloodsucking Freaks or Nekromantik, you can at least brace yourself for what's to come. They may have extreme elements, but there are scenes where you get some relief, too. With Barney, it's relentless and without relief, from the time the show starts until the time that it decides to release its grip on you. But enough about what I thought. Let's ask the target audience. ME: OK, Jack, how did you like that? JACK: It was pretty good! Well, I liked the song about picking apples in the fall. Did you? Um... I'm glad that you liked it. Was there part that made you laugh? Yes, when Baby Bop and BJ kept forgetting the stuff to go trick or treating with! Was any of it scary? Daddy - Barney never blinks. It's a deep, deep hole. I'll teach him to call me silly. It's 11 PM, and I'm going to raid his trick or treat sack. Check in tomorrow for my end-of-project wrap up! You are officially one of my favorite people on the planet. Period. You couldn't have POSSIBLY ended this better!!! Then this whole project has been worthwhile! Thanks, and thanks for being a part of it.